(AP) NEW ORLEANS - The NFL Players Association filed a lawsuit against the NFL on behalf of three players suspended in connection with the bounty investigation, calling Commissioner Roger Goodell "incurably and evidently biased." 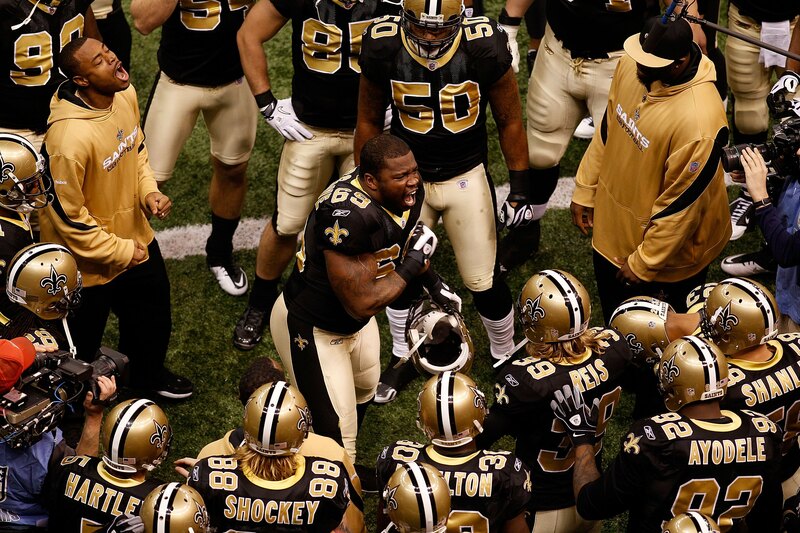 The lawsuit, filed in federal court in New Orleans on Thursday, said Goodell violated the labor agreement by showing he had determined Will Smith, Anthony Hargrove and Scott Fujita participated in a bounty system before serving as an arbitrator at their hearing. The NFL said the action is an "improper attempt to litigate" and said there is "no basis for asking a federal court to put its judgment in place of the procedures agreed upon with the NFLPA in collective bargaining." "These procedures have been in place, and have served the game and players well, for many decades," NFL spokesman Greg Aiello said in an email to The Associated Press. The lawsuit asks a judge to set aside earlier arbitration rulings and order a new arbitrator to preside over the matter. The suit comes two days after Goodell denied appeals by four players. The other player, Jonathan Vilma, has sued the NFL and Goodell separately. Vilma is suspended for a season, Hargrove for eight games, Smith four and Fujita three. In the lawsuit, the players, as they have in the past, "categorically" deny participating in any kind of "bounty" program designed to injure fellow players, adding the NFLPA would never defend such behavior. "The investigation and arbitration process that the Commissioner's public relations machinery touted as `thorough and fair' has, in reality, been a sham," the lawsuit stated. The lawsuit said the NFL violated the labor agreement by refusing to provide the players with access to "critical documents or witnesses, or anything resembling the fairness mandated by the CBA and governing industrial due process law." The suit also states that the players were subject to arbitration before an arbiter in Goodell, who had "launched a public campaign defending the punishments he intended to arbitrate, rendering him incurably and evidently biased." The lawsuit also reiterates a claim that the CBA requires many of the "pay-for-performance" conduct outlined in the NFL's bounty investigation to be handled by a system arbitrator and not the commissioner, who has "improperly usurped" control over that process. The NFL has argued that the bounty matter falls under conduct detrimental to the league, which the commissioner has authority to punish. Two arbitration rulings so far have ruled in the NFL's favor on that matter, but the NFLPA lawsuit says the NFL's handling of the bounty matter amounts to a "rare case" in which the arbitrator's rulings should be set aside.